The course is designed based on a proven problem solving model; known as PDCA (Plan-Do-Check-Act). 7 QC Tools are to be applied at different stages in the PDCA cycle. 7 QC Tools has been proven effective by Japanese Quality Guru Mr. Karou Ishikawa and he believed that more than 95% of the problem in a company can be solved by using 7 QC Tools. 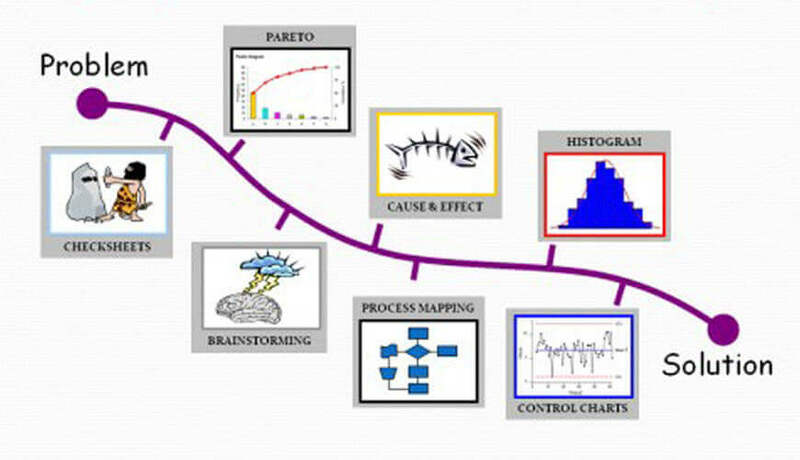 The Basic Seven Tools made statistical analysis less complicated for the average person. Good Visual Aids make statistical and quality control more comprehendible. QC tools are the means for collecting data, analyzing data, identifying root causes and measuring the result. Users have to develop the solution & implement.